Two journalists, Sarah and her long-time companion, James, return home after covering the war in Iraq, physically bruised and emotionally beaten, yet Sarah is having a hard time adjusting to the quiet of domestic life. Their editor drops by with his much younger girlfriend who can’t understand how journalists can simply record violence rather than try to stop it. 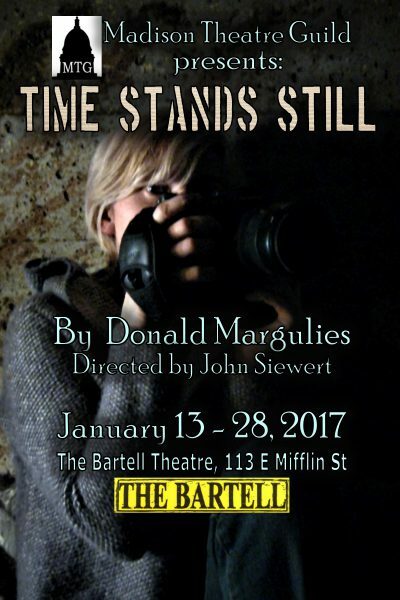 In this gripping, often funny, drama, Pulitzer Prize winning playwright (Dinner with Friends) Donald Margulies explores the intricacies of love, friendship, and the wounds of war.